The 1970s also saw the arrival of the microprocessor, which made computers smaller, more powerful and available to more scientific spaces. The computer could be seen as an economic system in itself, and coding provides the means to manage the resources of the CPU—an environment structured by binary, itself a lexicon for economics of design. The following examples all relate to the financial aspect of economics, all experienced, though, through creative uses of computational technology. 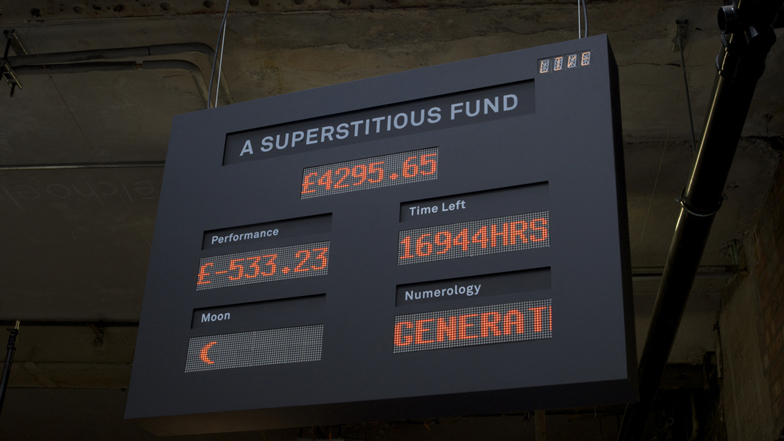 The Superstitious Fund Project is a live one year experiment where an uncanny algorithm or SUPERSTITIOUS AUTOMATED ROBOT will trade live on the stock market. The financial instruments it will be using will be spreadbetting on the FTSE 100. The superstitious trading algorithm will trade purely on the belief of NUMEROLOGY and in accordance to the MOON. It will for example have the fear of the number 13, as well as generating its own beliefs and new logic for trading. Cryptocurrencies such as Bitcoin use a “proof of work” system to prevent abuse. Artworks are proofs of aesthetic work. 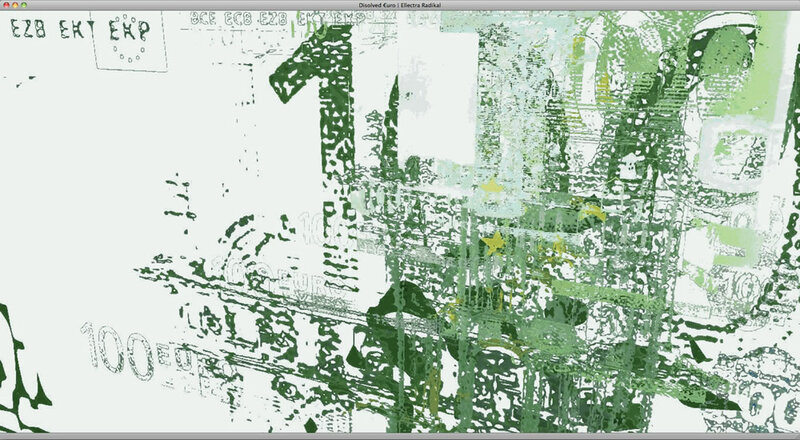 The difficulty can be varied by altering the size and blur of the pixmap. Or by only allowing particular detected face bounds rectangles to be used a set number of times. Bitcoin Statcraft (BTCSC) is a dynamic minecraft environment generated using realtime bitcoin market information. All of these bitcoin block stacks are accurate piles based on (at the time the video was made) current information regarding the bitcoin market. Towards the end of the video you’ll see me programmatically build the stack of gold, based on the current price of gold in USD and the current bitcoin market cap, also in USD. A script does the calculation and figures out how large that gold pile would be, in real life (m^3), and builds the blocks to match. Gold Farmers is a documentary that investigates the real money trade in the virtual world of online games(such as World of Warcraft), and portraits groups of Chinese young men who are making a living by playing online games. These young men are called gold farmers in the online games, and the in-game goods they produce are sold for real dollar to American gamers who need a short cut to success in the games. In this documentary, gold farmers describe how it feels to live at the border between the virtual and real, to mix play and work, and to interact with foreign gamers who they would never have the chance to meet if not for this globalized virtual world. We also hear conflicting views from various American gamers who are affected by this particular entanglement of the virtual and the real. The theme of MONEY was chosen for its ubiquitous nature by an anonymous identity, a virtual online curator who used the name of a famous Russian sniper of World War II: Vasily Zaitsev, a man that could not be seen and acted afar. You can check out the online exhibition here. Bitcoin presents a new paradigm: the shift in money regulation from the national bureaucracy of competing banks, to the international computational world of networks and algorithms. Coinfest is an opportunity to disseminate information about these new currencies and also to reflect on what the change will come to mean. Computers and Capital presents a series of artists whose medium shifts to the same new medium that digital currencies are moving towards: the computer. How does the computer work as a canvas, and how does this cultural canvas relate to a digital shift in our global financial system? As financial power shifts from the hands of the national economic hierarchy into the processing power of our chips and laptops, what will the societal implications be? Computers and Capital hopes to provide a forum to begin to consider these questions: to promote education and awareness of digital currency, and to think about what it will mean on a broader, social level. An arcade machine which only accepts Bitcoin as payment. A busker who accepts Bitcoin.